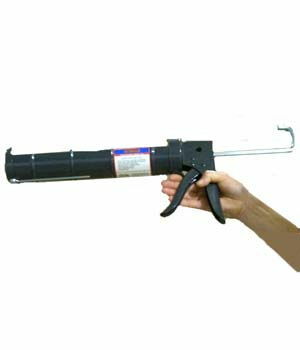 If you are installing cove base, you'll need this adhesive gun! This cove base adhesive gun with ratchet spring action is used with 30oz tubes of cove base adhesive. Without using tools, installing cove base can be time consuming, but we try to make it easy for you! Along with the glue applicator, we suggest using the affordable 3 Inch Adhesive Applicator Nozzle to evenly distribute the adhesive. 30oz Tubes of Adhesive can also be purchased through us.